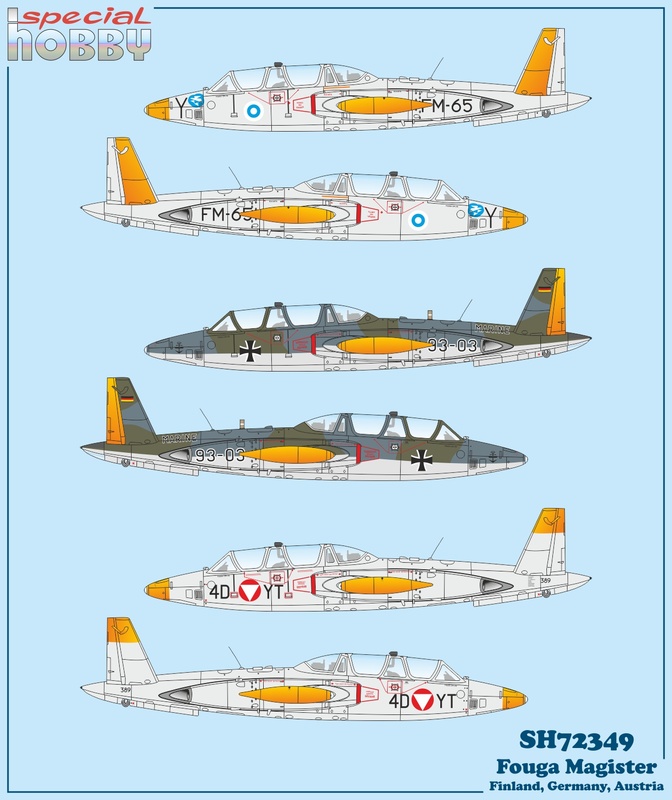 In the latest instalment of our regular blog, a colleague revealed one of the Special Hobby projects which are to be released this autumn - the 1/72 Fouga Magister kit in colours of three European users, the military of Finland, Germany and Austria. 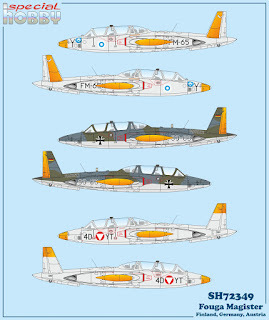 One may consider the overal aluminium paint schemes rather dull, but beware the Dayglo Orange high visibility markings making the training aircraft arguably highly attractive and the German option may bring some change to your display case as well as the plane was in fact operated by the Bundesmarine, or German Navy. In the kit, the modeller will find a decal sheet containing of course also a full set of stencils in both language mutations.